Wonderla 1 Day Tour Package by CAR from "Hyderabad Tourism"
Started in 2016, Wonderla Hyderabad is comparatively recent addition to the Nizam city yet one of the most popular places to visit in Hyderabad. Since the day of its opening, it has been attracting hordes of visitors every day. 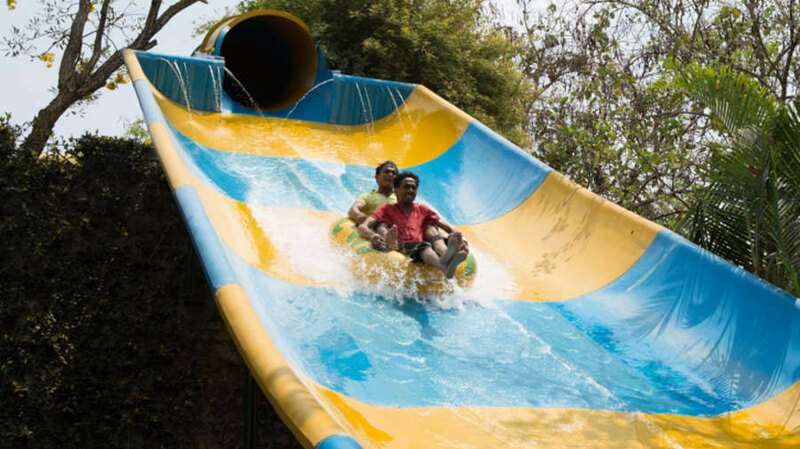 If you are looking for ways to spend your weekend or just want to have fun with your friends, then plan a tour to Wonderla. Adding to the charm of Wonderla, is our Wonderla 1 Day Tour Package by Car. With this daily tour Wonderla packages and various other packages, we at Hyderabad Tourism from Holidays DNA make it easier to plan your day tour. 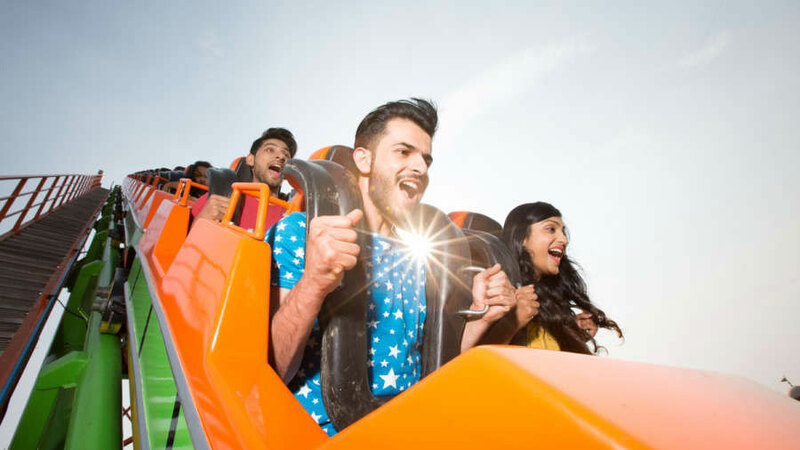 Fastrack Tickets allows you to enjoy the rides with a shorter queue and Fastrack Tickets are limited to 500 in a day. 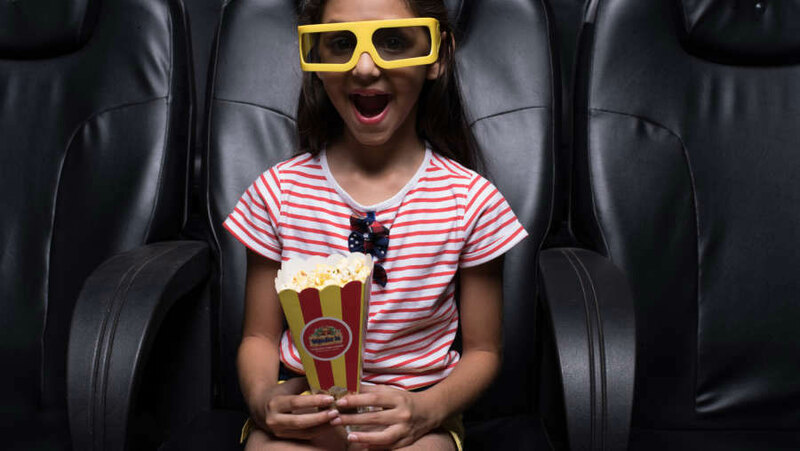 Please note that if the child height is 90 – 140 cm, you are required to buy a child ticket. If the Kids height is above 140cm, they will be counted as Adult. No ticket is required for kids below 90 cm. 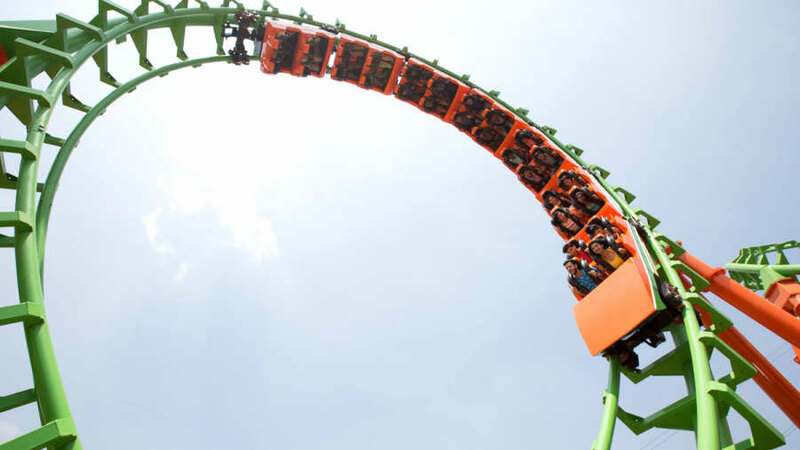 Enjoy your favourite rides as many times as you please with one-time payment entry tickets! Package includes 100 Kms Limit. Above this limit per km charge is applicable. Please call us for more info. Cigarette, Gutka, Alcohol is strictly not permitted into Wonderla Hyderabad. Outside food is also not allowed, however food for only Infants may be allowed. What makes Wonderla Hyderabad even better is its wide array of entertaining choices that cater to everyone. 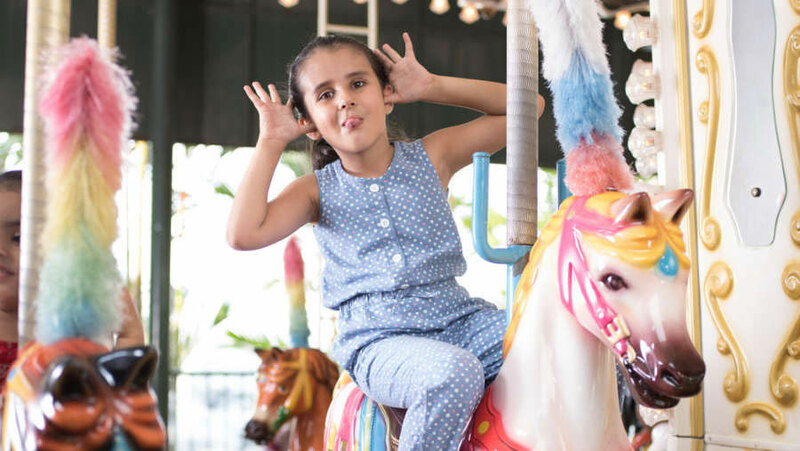 Whether you are travelling with kids, elders, friends, college mates or colleagues, you will find many interesting things to do at Wonderla Hyderabad; best being the rides at Wonderla Park. There are wide array of rides and slides, ranging from water slides and water games, dry rides to high thrill rides. So, whether you are looking for adrenalin rush or want to have a relaxing day, you will find apt choices at Wonderla Hyderabad. 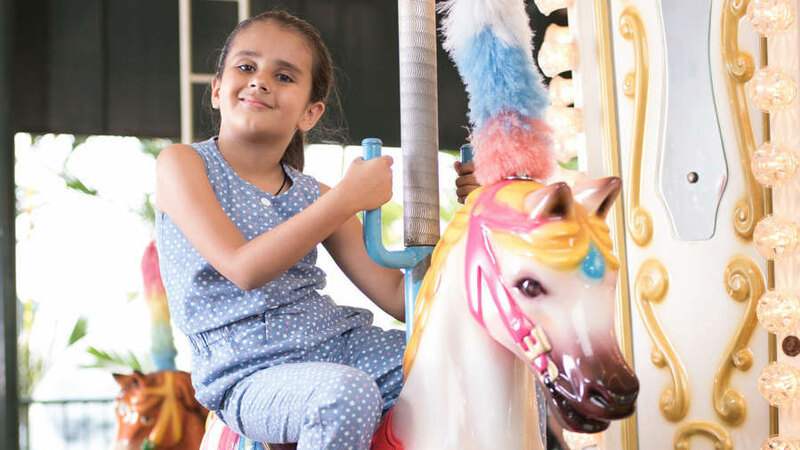 There are separate rides for children as well, which have been designed especially by keeping their safety and comfort in consideration. Adding to the experience are the facilities such as changing rooms, ATM, parking space, lockers, cloakrooms, wheelchairs and prams, drinking water, etc. For dining also a variety of options have been offered. Experience all this and much more with our Wonderla day tour packages. So choose a Wonderla one day tour package from our varied list to have a perfect day out without facing any troubles of arrangements and booking. Our travel experts ensure that you have an enjoyable day by offering a package that suits your requirements the best. Along with this, travel advisors are available throughout your tour, offering assistance and support as and when required. Select a package from varied collection to spend a day amid unlimited entertainment, away from everyday routine. You can let us know your preferred dates and your choice of car to get an exclusive one day tour package. For instance, Wonderla 1 Day Tour Package by Car is apt for those travelling in small groups or with their partners. The pick and drop service is offered only from a fixed point. If in case, you require the taxi to pickup and drop at multiple places, then there will be additional charges. Along with this, if there is a deviation from the pre-decided route, extra cost will be applied. We offer private taxi for a fixed number of hours and kilometers which are mentioned in the tour package. In case you exceed the number of hours or kilometers an extra charge will be added.